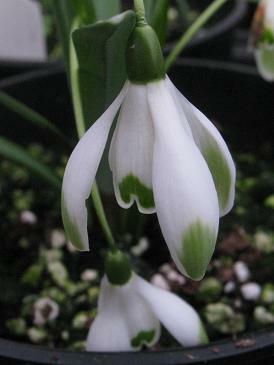 A vigorous green tipped snowdrop. I have had a variety of different forms over the years, some with more green than others. I am now working on forming a small patch of them in the woodland where they make a distinctive group. 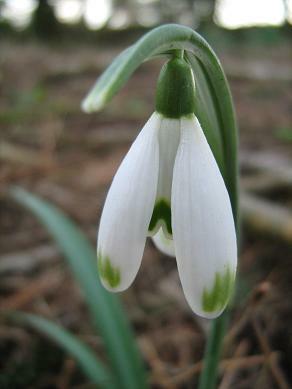 I like to think that I am at least partially immune to snowdrop-madness, but the fatal signs are starting to show. I bought this green tipped 'Viridapice' because it was better marked than my stock. Quickly, intervene before I start to feel proud about that. There are many different clones about. 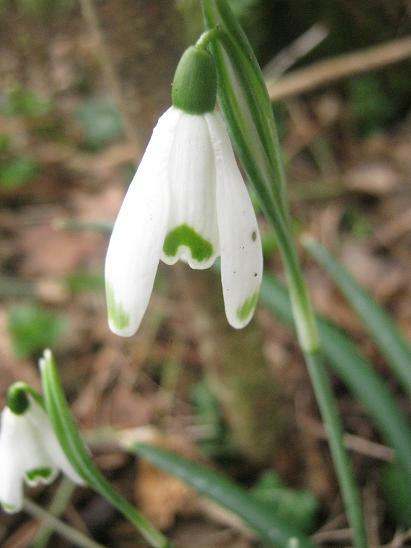 At least one of them is a sterile triploid, and probably any green tipped snowdrop risks being called 'Viridapice'. I have a couple of clones. I probably don't need any more. Hmmm.